The Mint Casino in Manchester is owned and operated by the prestigious Genting Casinos Ltd who have been in the gaming business since for the past 33 years. Unlike other casinos, Mint is aimed at the true gamer and with that objective, offers a fabulous range of gambling options. You can choose to play in on of the 12 American Roulette table or try your luck with Blackjack, Three Card Poker, Punto Banco and Big Six. The casino also has many slot machines and electronic roulette terminals on offer. Mint offers free parking from 6pm and valet parking from 8pm and is a member of the World Card loyalty club. 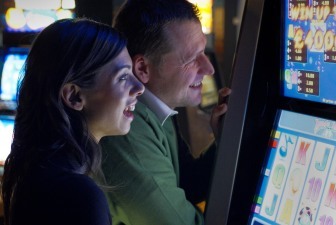 You can earn loyalty reward points while you play on either live or electronic gaming and earn yourself vouchers for gaming and hospitality as well as an extensive range of gifts redeemable via the ikiosk. You can also earn points when you dine at the 110 Restaurant. Admission into the Mint is free and simple for all over the age of 18 and while membership is no longer required, patrons can register to receive information on the club's latest offers and events. Registration can be done online or at the casino. Should a guest appear to be under the age of 21, they will be asked for photographic identification. The dress code is smart casual, and while jeans are acceptable, shorts and football shirts are not. The Mint Casino is open 24 hours a day, 7 days a week. Restaurant opening hours are from 6:00 pm to 12:00 am and bar meals are available from 4pm to 4am. The 110 Restaurant offers a delectable cuisine and an extensive range of wines, spirits and beers. The special VIP menu is available from Sunday to Thursday and offers a three course menu for £12.50. Also available are set course meals like the two course meal for only £15 and the three course meal which is priced at £18. If you are at the casino on a Sunday, don't forget to indulge in the Sunday Roast with all the trimmings for £12.95. The bar meals are available from 4pm till 4am and is just the right thing for when you fancy a quick meal between games. The casino offers gaming rooms with higher maximums as well as private dining facilities. Mint Casino hosts events ranging from live entertainment, to special lunches, free plays, match plays and more.